For centuries, the northern region of Chapada Diamantina had been known as Brazil’s largest gold and diamond extraction spot. Today, it’s one of the most beautiful tourist destinations in the country. Few travelers visit this national park, but you gotta trust me: it’s worth it! People should stop thinking that Brazil means only Rio de Janeiro, beaches, caipirinha and soccer. 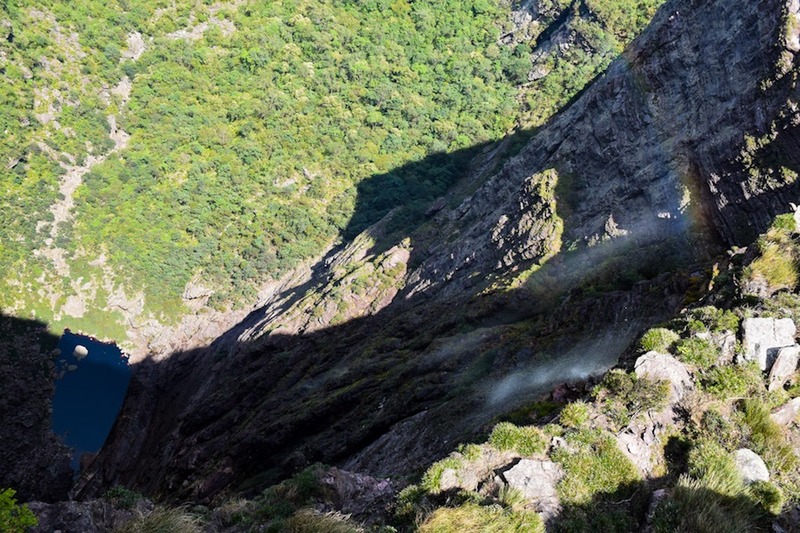 Here you’ll find some of the most spectacular mountain trails in South America, and in the world! 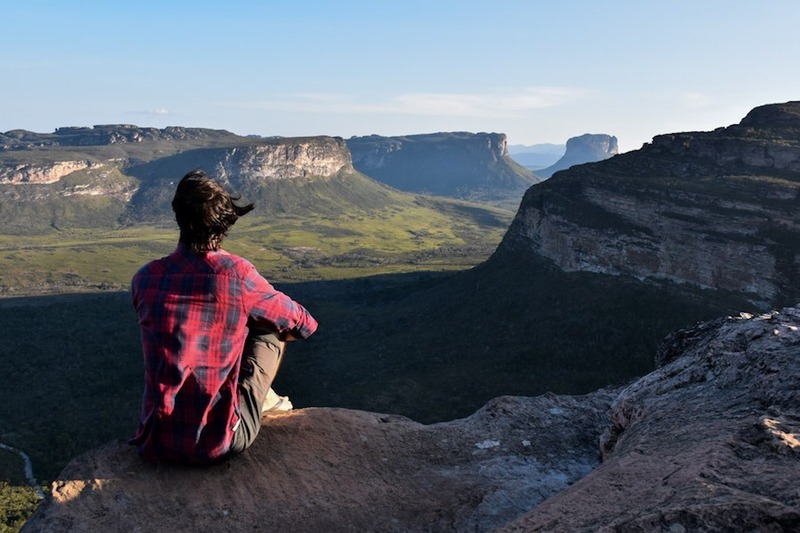 Whether it’s a one-hour trip to beautiful waterfalls or a seven-day hike through endless valleys, Chapada Diamantina National Park offers hundreds of options for visitors of all kinds. After a hard day of hiking, you can enjoy a beautiful sunset over the river, try a delicious local dish and have a handmade cachaça. 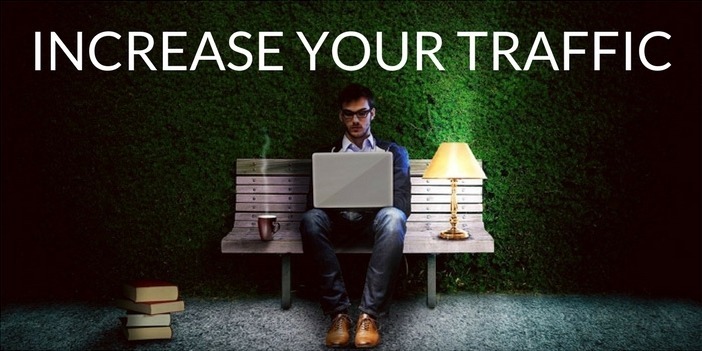 On your last day, you’ll wish you had more time to spend there! 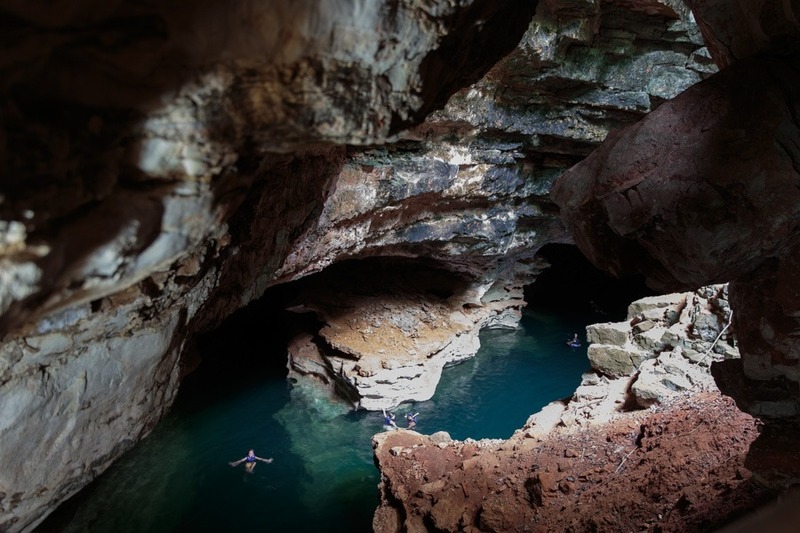 It’s important to point out that there are hundreds of incredible places to visit in Chapada Diamantina. You’ll find valleys, canyons, waterfalls, rivers, caves, cliffs, villages, museums, churches and much more. I will compile the places and routes that I find most interesting. Then you can decide what to visit depending on your preferences and time. First, I’ll talk about the easiest and most popular options. You can easily visit a bunch of places on your own (or on a tour). You can also combine several visits into one day. Then, we’ll talk about some multi-day routes. If you have time, you shouldn’t miss the hike to Vale do Pati (3-5 days). I think it’s by far the best hiking trail in Chapada Diamantina! IMPORTANT: Some routes require a guide, while others are easy to complete on your own. I did almost all the routes with a GPS and without a guide. However, each person is responsible for his or her own safety. If you aren’t an experienced hiker or don’t know the area, I recommend that you hire a professional guide. A must-visit waterfall in the park, Cachoeira da Fumaça will put your vertigo to the test. The viewpoint is located at 420 meters high, right next to the impressive cliff. 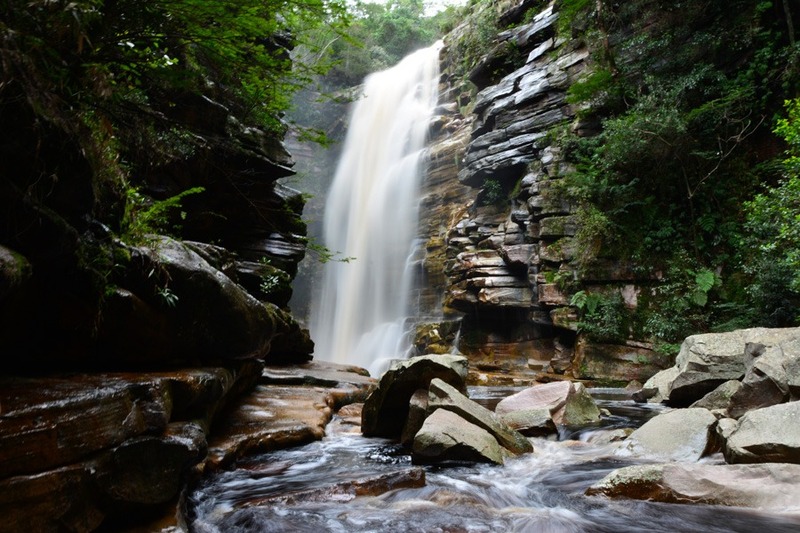 Without doubt, it’s one of the most beautiful spots in the Chapada. The route can be completed in about two hours. The first part is quite steep and rugged, as well as exposed to the sun. Afterwards, you’ll get to a kind of plain savanna with short vegetation. Although most people hike up there accompanied by a guide, it’s quite easy to complete the route on your own. The trail starts from Os Campos, in Vale do Capão. 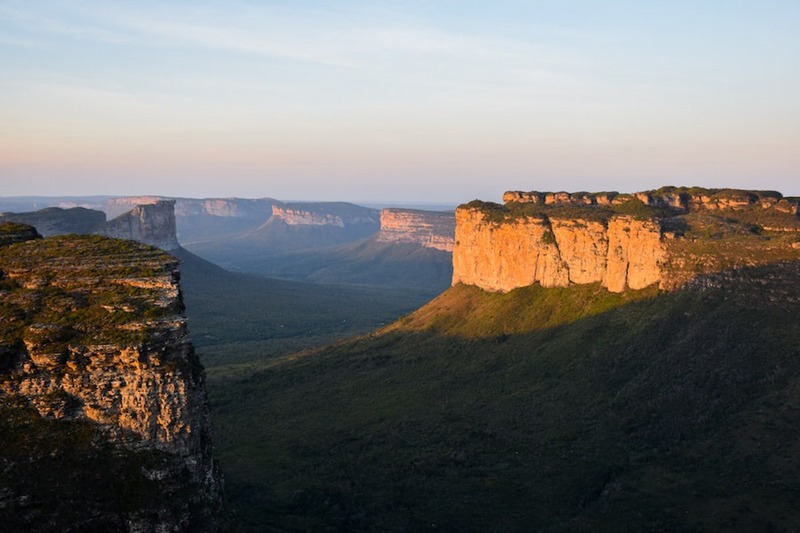 This is the most famous postcard of Chapada, and certainly a place you can’t miss. Although several trails lead to Morro do Pai Inacio, most people get there by private vehicle. The place seems to be totally in the wild, but in reality it’s next to the main road. You can leave your car in the parking lot (or go on a tour that leaves you there) and hike up the 30-minute trail to the top of the plateau. The place is located halfway between Lençois and Capão. Sunset is the most popular moment of the day, when the rocky walls turn orange, creating unforgettable scenery. 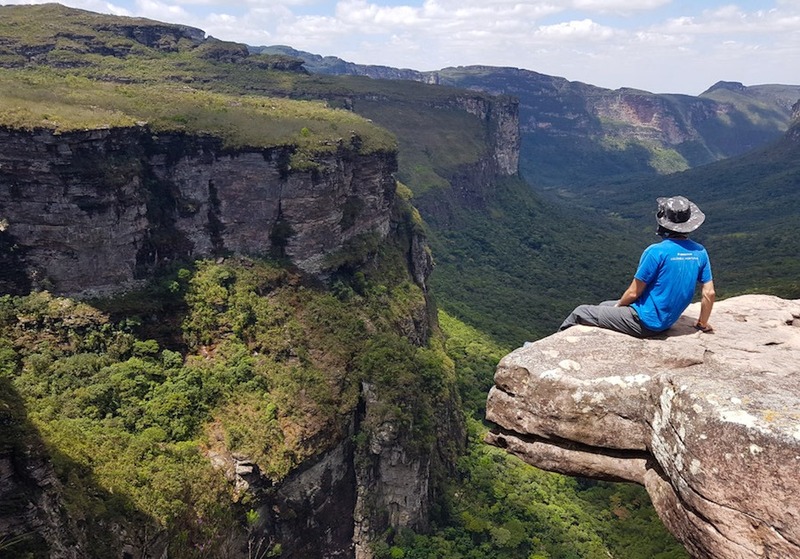 Let me tell you that while Morro do Pai Inacio is really worth it, Poço do Diabo and the caves… well, they are beautiful, but there are better places to visit in Chapada. Also, you’ll find lots of tourists and you’ll have to pay an entrance fee for the caves, as they are located on private property. If you are thinking about taking a multi-day hike, the Cachoeira do Sossego might be good physical training. In addition, you will be rewarded with a beautiful 15-meter waterfall right in the middle of a spectacular canyon. From Lençois, it takes about two or three hours to get to Sossego, depending on the rhythm. We did it without a guide (but with GPS) and I think the trail isn’t too hard. Anyway, keep in mind that at some parts near the river, it’s easy to lose track. On the way back, you can take the road that goes through Riberão do Meio. This place, just 3 km from Lençois, is very popular among families and groups of friends, as the river rock forms a kind of natural slide. It’s the closest thing to a wild water park! The way back from Riberão do Meio to Lençois is easy and well-marked. Probably the most accessible waterfall in the national park, the Cachoeira da Primavera is a good option if you want to relax. 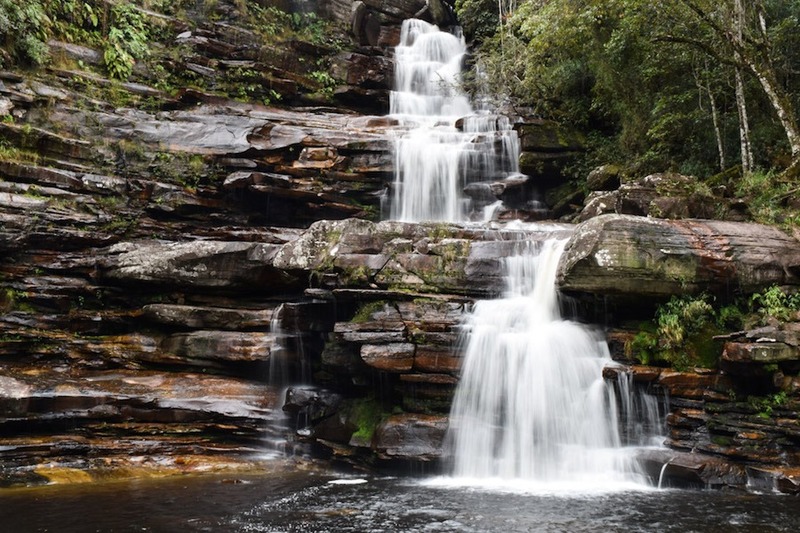 The trek can be completed in 40 minutes leaving from Lençois, and although it’s not the most spectacular waterfall in the park, it certainly has a special charm. The best thing about this trail is that it passes through other interesting spots, such as the Cachoeira do Serrano, another beautiful waterfall, and the Salão de Areias, a group of caves in which you’ll find colorful sand. Cachoeira dos Mosquitos is a great option for those who want to visit a beautiful waterfall without the hassle of walking a long distance. After leaving the car in the parking lot, you’ll have to walk only 15 minutes to enjoy this beauty of nature. Poço Azul is another classic image of the Chapada. 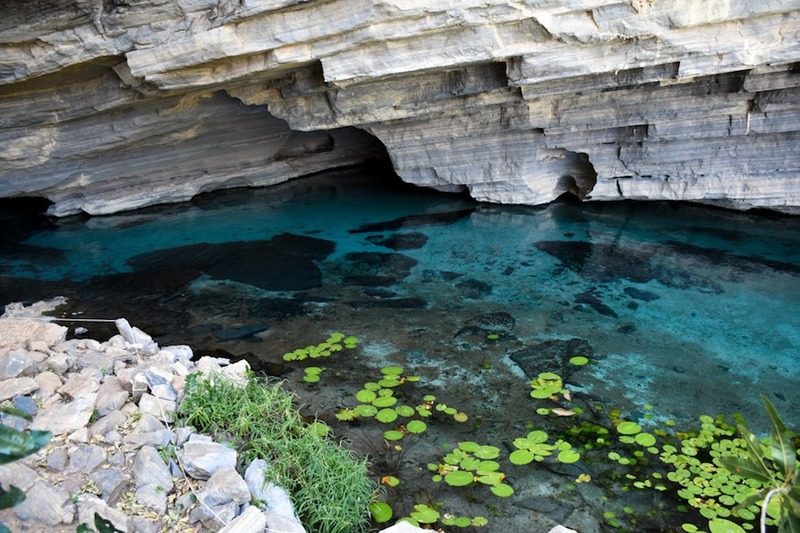 This beautiful cave boasts crystal clear waters in which you can take a swim. The best time to visit the cave is between February and October around 2:00 pm, when the waters are so clear, bathers seem to be floating in the air. The Poço Encantado has similar characteristics, with the difference that bathing is not allowed. You must pay an entrance fee to visit both spots. If you have to decide between them, you’d better visit Poço Azul. These little-visited waterfalls are two of the most impressive spots in the whole park. The problem is that most tours tend to be quite expensive and getting there by public transport is complicated. They are located near Ibicoara, which is a bit far from Lençois. However, if you decide to complete these two routes, you won’t regret it! The route to Fumaçinha is somewhat more challenging, but the one to Buracão is relatively easy. 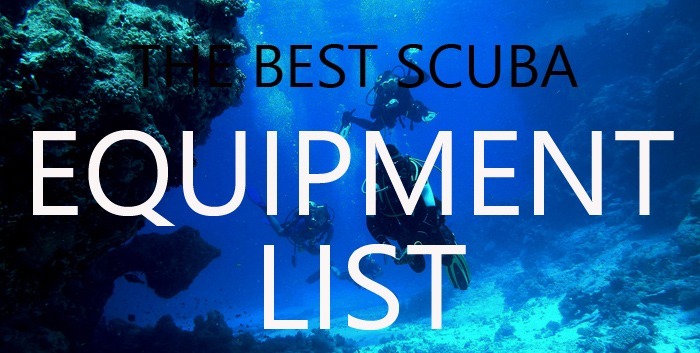 (It’s mandatory to go with a guide, as there are parts where you have to swim, etc.). You can do both hikes on the same day, although most people prefer to take one of the two and do it leisurely. Both routes offer beautiful trails surrounded by huge cliffs, spectacular canyons and impressive waterfalls. All the previously mentioned places have a special charm. 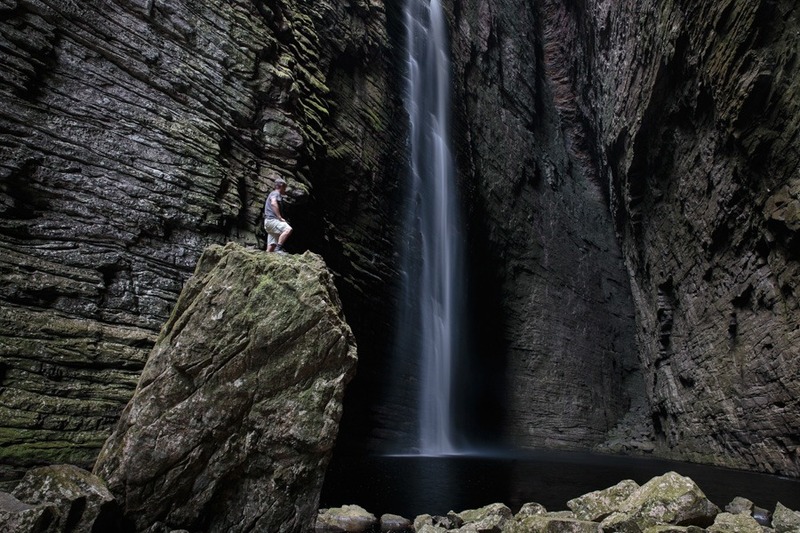 However, the best way to enjoy Chapada Diamantina is by venturing on a multi-day route. You’ll walk through the jungle, visit the houses of the natives, camp next to a river and enjoy a starry sky like none you’ve seen before. Known as the best hiking trail in Brazil (and, in my humble opinion, one of the best trails in the world), Vale do Pati is the highlight of the park. 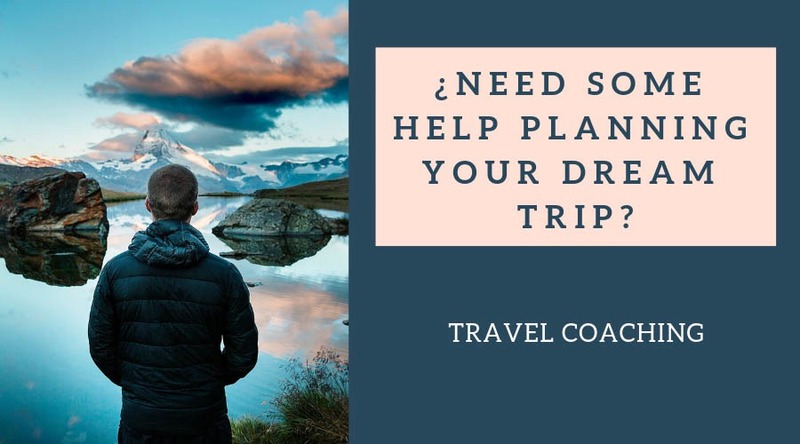 I think it’s on par with top-class routes like Mount Roraima in Venezuela, Las Torres del Paine in Chile and even the Annapurna Base Camp in Nepal. Although a minimum of three days is recommended for exploring the best of the valley, I’d say that four or five days is more convenient. If you do it on your own, you can start from Capão, hiking up through Quebra Bunda and Mirante do Pati before getting down to Igrejinha, one of the gateways of the valley. Once in Pati, you’ll find several houses in which the natives will offer you accommodation and food. Organized groups usually get to Guiné by car, considerably shortening the trip to the valley. In any event, don’t worry too much because I’ve written this detailed article in which I’ll explain, step by step, how to complete this amazing route. We did it without a guide and, yes, it’s possible. The most beautiful spots on the route are Mirante do Pati, Morro do Castelo, Cachoeirão por baixo and Cachoeirão por cima. I’d like to insist: If you have time, do not miss it because it’s out of this world! The best trail in Chapada Diamantina! This route is little visited because it’s pretty off-the-beaten-track. 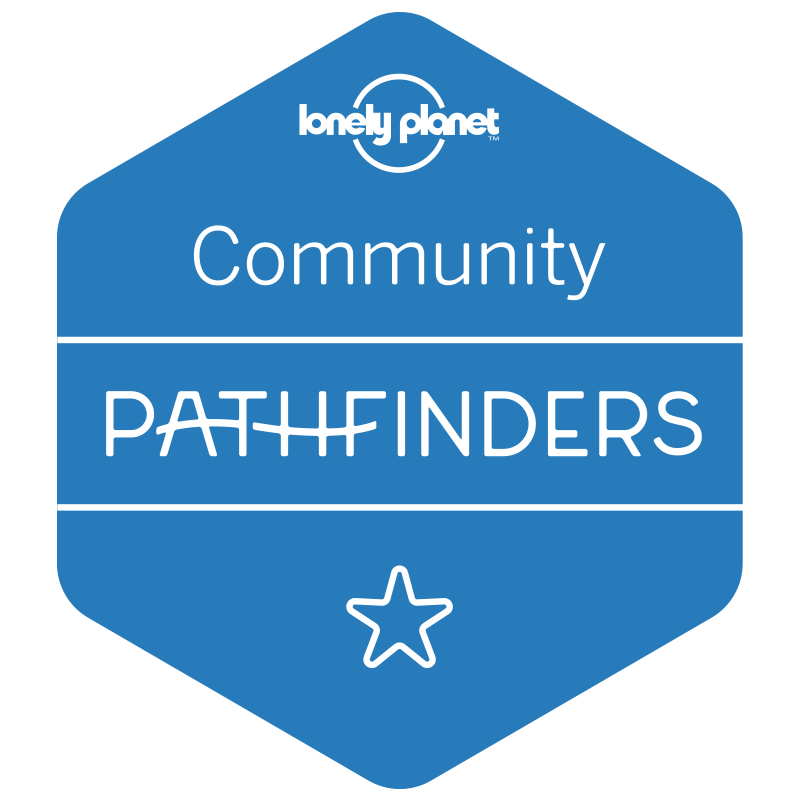 The guide is not mandatory, but the route goes through wild forests and little-marked trails where it’s easy to get lost. On many occasions, you’ll need to cross rivers at places that have no signs. It’s a wild adventure, without accommodations or amenities. 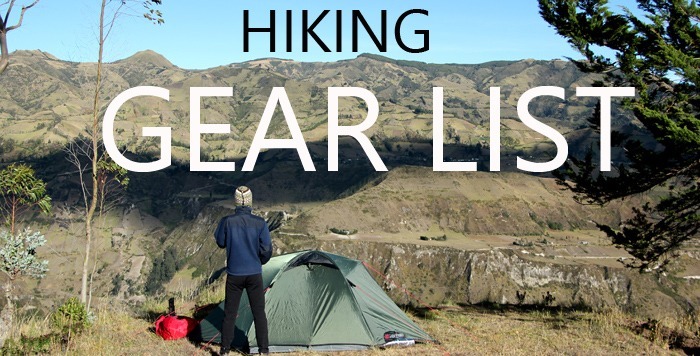 Therefore, it’s important that you hire a good guide and carry a tent, a sleeping bag and food. There are several options (typically between two and four days), and the route goes through Serra do Veneno, Cachoeira Palmital, Mirante da Fumaça and Cachoeira 21. The best thing about this trail is that you’ll be able to watch the famous Cachoeira da Fumaça from the other side of the valley, getting one of the most impressive views of the waterfall. With so many great options, deciding where to go can be hard. 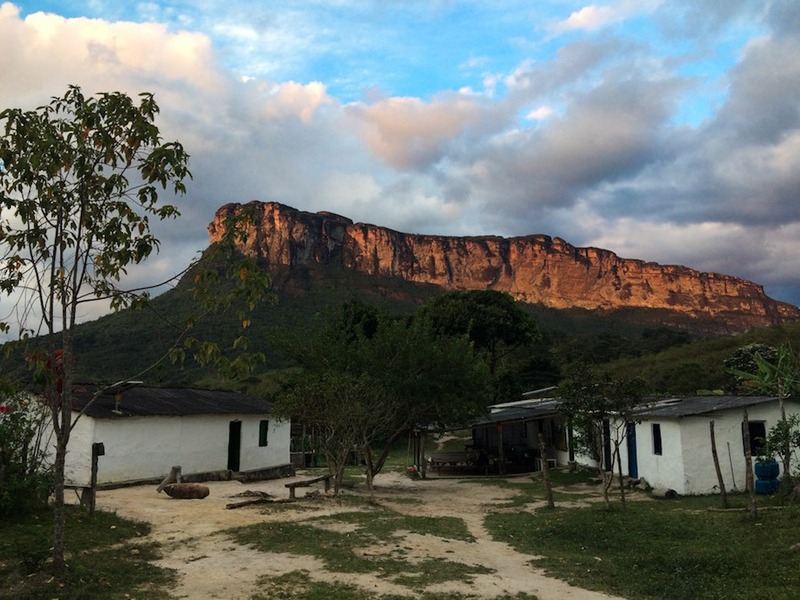 When I first arrived in Chapada Diamantina and searched online, I had no idea what I wanted to do. 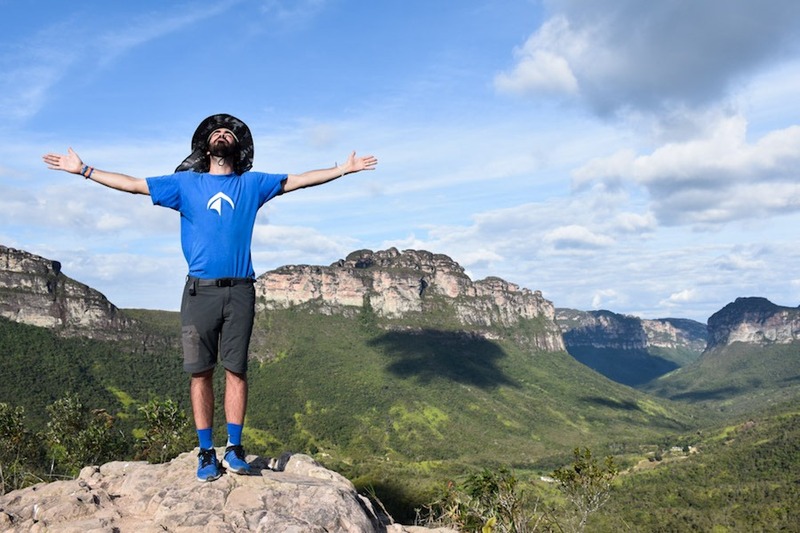 If you get to all (or a few) of these places, I assure you that you’ll leave Chapada Diamantina with a feeling of absolute happiness. There are regular flights to Lençóis leaving from Salvador, São Paulo and Belo Horizonte. 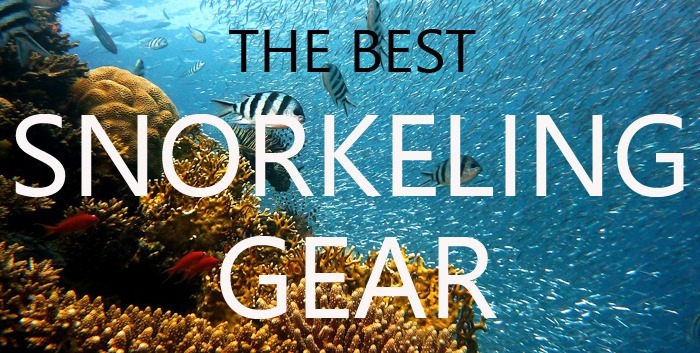 Unfortunately, they are usually quite expensive, making this option unpopular among travelers. Most visitors choose to take a bus from Salvador to Lençois. The trip lasts seven hours, but there is a night bus that is pretty comfortable. If you are traveling to Vale do Capão, you must continue for another hour until you reach Palmeiras. Once in the Palmeiras terminal, you’ll see some vans parked outside that will take you to Vale do Capão. The connections between main towns within the park are very limited or nonexistent. Most places of tourist interest can’t be visited by bus. 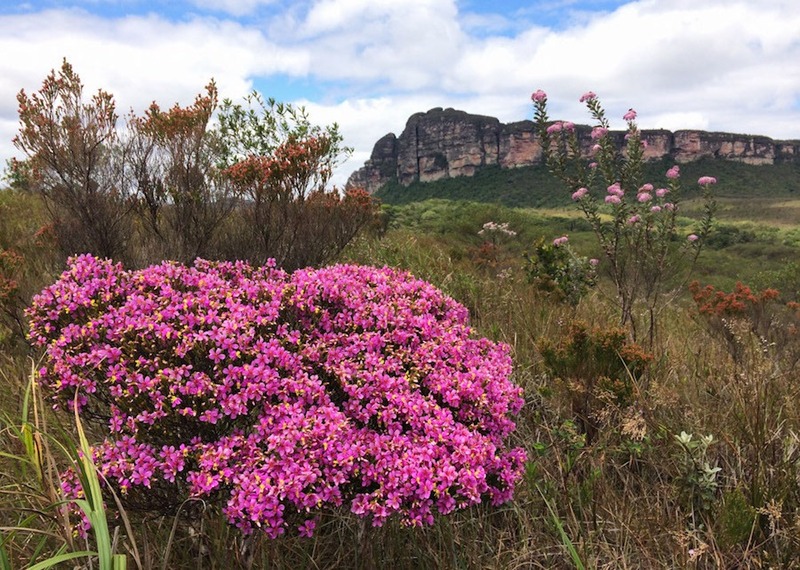 You can visit virtually every corner of the Chapada by going on a private tour. The problem is that if you get out of the classic circuits, there likely won’t be enough people to make a group and you’ll be asked for a lot of money. Popular circuits are not especially cheap, either. One of the best options for exploring the park is by hiring a car. You’ll be able to visit the places of your choice at your own pace. In Lençois, you’ll find several car rental places. Hitchhiking works very well in Chapada Diamantina. Among the local people, it’s very common to travel around, so they are used to it. With a little patience, you’ll be able to reach many destinations by simply lifting your finger. WHERE TO STAY? LENÇOIS OR VALE DO CAPÃO? The eternal question: Lençois or Capão? I’m going to give you my humble opinion about the two places, so you can decide where you would fit better. Lençois is a charming little town with cobbled streets, colorful houses, and many restaurants and cafes. There is also a museum to visit and music shows from time to time. It has more agencies, inns and hostels, and it’s generally cheaper than Capão. The visitor in Lençois is usually middle or upper-middle class. Regardless of the type of tourism, more routes and waterfalls are near Lençois: Primavera, Sossego, Pai Inacio + caves, Mosquitos. As its name suggests, Vale do Capão is a valley. The small town in the middle of the valley is formed by literally three streets, where you’ll find a supermarket, a couple of bakeries, a restaurant and little else. Capão has a hippie atmosphere – kind of new age, yoga, meditation style. I loved that atmosphere, which was very quiet with lots of friendly people. However, don’t be fooled by the “hipness” in relation to the prices. Although it’s possible to find cheap accommodations, the place is becoming quite expensive. Many inns and services are much more expensive than in Lençois. Although Capão is very quiet, there are music shows and festivals from time to time, as well as dance and meditation courses, etc. 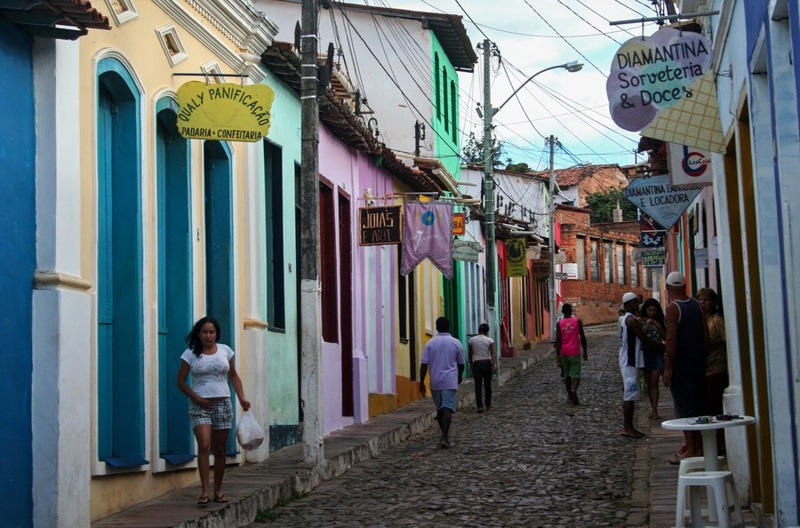 Despite the high prices, I recommend that you visit Capão and its friendly inhabitants. Also, even though many routes start from Lençois, two of the best trails start from Capão: Fumaça and Vale do Pati. 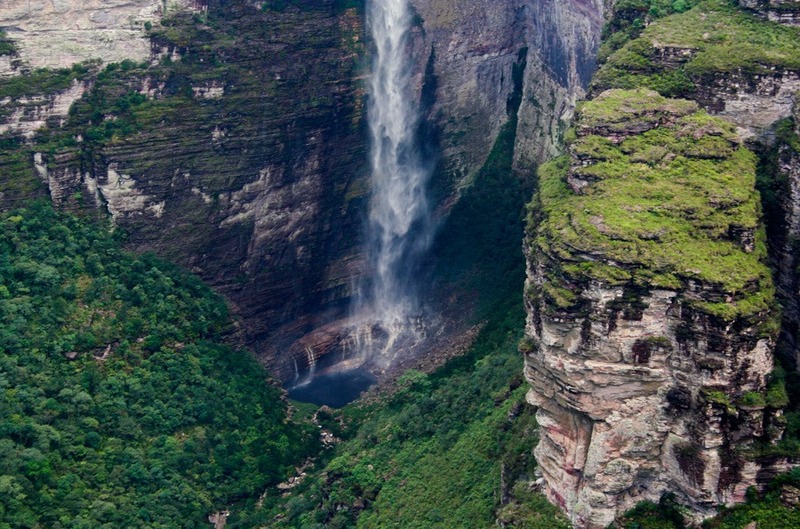 Although you can visit Chapada Diamantina all year round, you should take the rainfall into account. The rainy season goes from November to January, when the paths get muddy, but the waterfalls look at their best. From March to June the landscapes get green and the waterfalls still look mighty. This would be one of the best times to visit the park. From June to October there likely won’t be any rain. At that time, you’ll have clear skies and dry paths, but the longer you wait, the drier the waterfalls will be. CAN I GO WITHOUT A GUIDE? Whether you’ll need a guide depends on the route you want to take. For some routes a guide is mandatory, even if you have GPS and a lot of hiking experience. Lately, several changes have taken place in the park legislation, so you should get the proper information at the park offices. You can complete many trails on your own. We did most routes, including Vale do Pati, without a guide. It’s crucial that you have hiking experience and a good GPS or an app like Wikiloc. Don’t trust the maps sold in Lençois, because they are not detailed. They are pretty bad, to be honest. Remember that several people get lost every year and many have been injured and or even died. The local guides must look for those who get lost, and this situation pisses them off quite a bit. You’ll notice that most guides won’t be very nice to you if they see you hiking on your own. Most accommodations cost around 15-25 reais per night for a dorm room. If you are looking for a double room in a lodge or “pousada,” the prices increase to around 40-80 reais in Lençois, and 100-140 reais in Capão. Albergue de Lençois Backpackers: Economic dorms for independent travelers. Pousada Natureza: Nice private rooms and super friendly owners. Pousada Pé no Mato: Great location and cool rooms. The following locations have an ATM: Lençois, Mucugê, Palmeira, Ibicoara. If you are going to stay in Capão, remember that there are no banks or ATMs. Think about the type of hike you are going to complete because you may need a tent, a sleeping bag, a camera, trekking pants, etc. If you will be hiking on your own, bring a good GPS. I recommend that you get good travel insurance before visiting Chapada Diamantina. 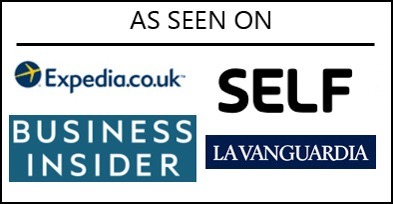 If you are looking for professional insurance at a great price, World Nomads offers one of the best coverages on the market. 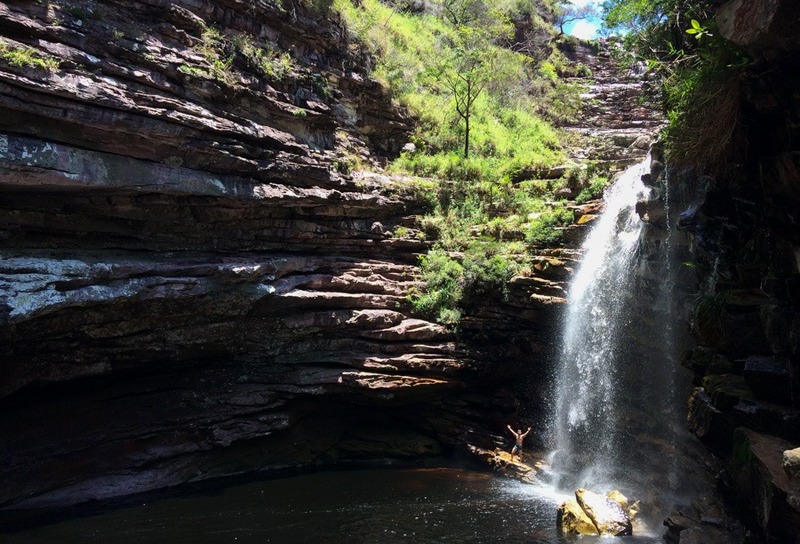 Did you enjoy The Best Hikes in Chapada Diamantina -What to Do and See? Leave a comment! how safe would it be for 2 female travellers? We‘ve been hearing a lot of „too dangerous for two females“. Despite of being cautious like you would during every travel, would you recommend a male companion on a trip like that? 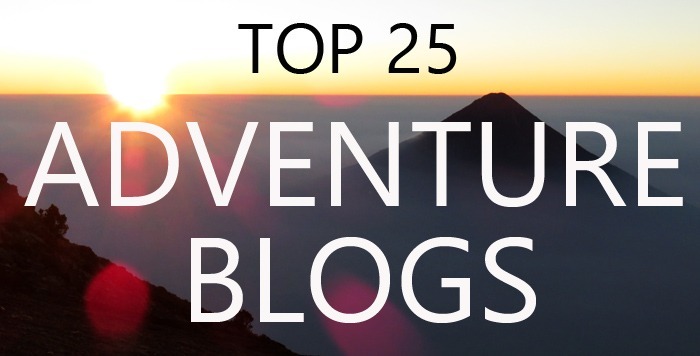 For the record, loving your descriptions, it inspires me to explore South America more! Thank you!! Hi Cathrine, how are you? Thanks for the comment! Well, I don’t think Chapada Diamantina is a dangerous place at all. Of course, you have to take care as everywhere else.. but it’s pretty “tranquilo”. I’ve met several girls traveling by themselves in Chapada. They didn’t have any problem. 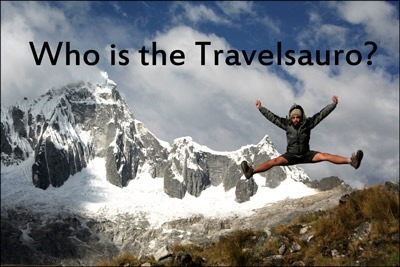 You can also meet other travelers in the hostel, and take the treks together. Enjoy! 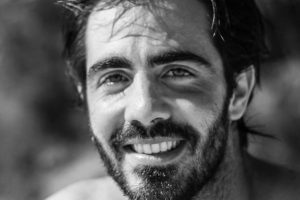 Espero que no te importe que escriba en castellano, el inglés lo entiendo muy bien, pero supongo que por falta de uso, no lo escribo como me gustaría… Quería comentar que coincido con tu visión de que “Brasil es algo mas que Rio”, pero además a nivel global, yo en un mes me voy a New York una semana, y en lo que es la ciudad estaré apenas un par de días. Quiero recorrer el camino hasta Búfalo para ver las cataratas del Niagara, y nada de un viaje directo, quiero parar en pueblecitos, hacer rutas por los bosques de Pennsylvania, o el Seneca Lake. Mi hermana piensa que estoy tonto por hacer rutas de montaña yendo a Nueva York, pero lo siento, para mi con ver las 4 o 5 zonas mas emblemáticas o que mas me llaman la atención me sobra, a mi lo que me impresiona y me llega al alma es la naturaleza, y los bosques de allí es imposible que se parezca a lo de aquí. Genial, gracias.. me alegro que te haya gustado el blog! Pues ese viaje que vas a hacer tiene muy buena pinta… Seguro que lo pasas super bien! Yo también iría más por los parques nacionales, etc.. Que bueno, disfruta a tope! Saludos! Wow Miguel! Your hikes sound incredible. 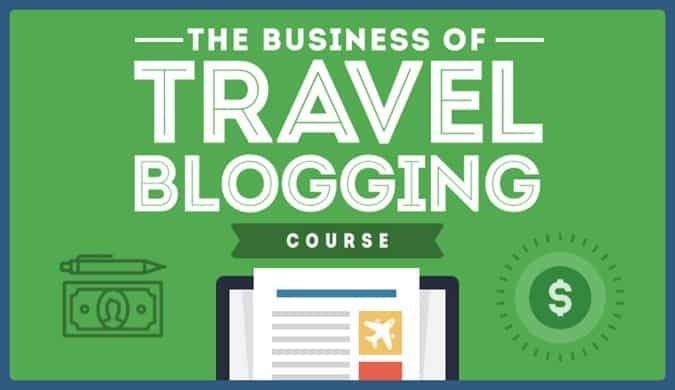 I’m hoping to visit Brazil soon so this is super useful. Hiking in Brazil is like dream come true. 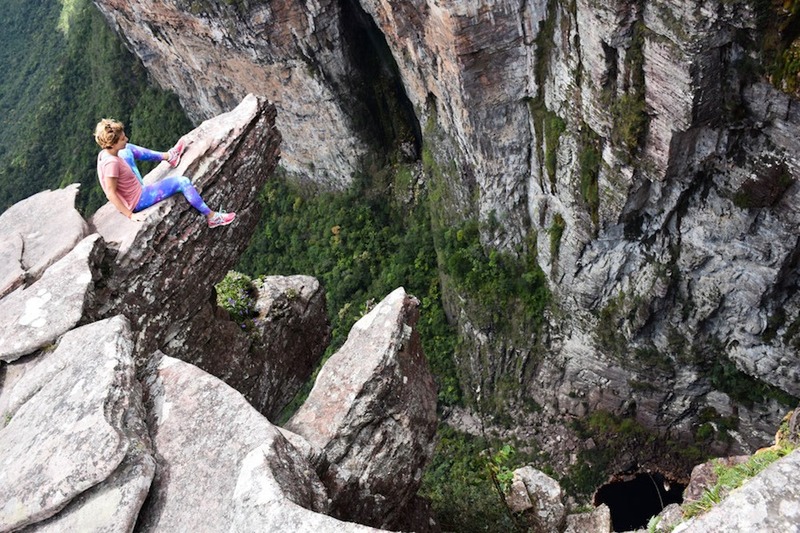 The article is really interesting and inspired me to visit Chapada diamantina. Thanks for sharing such beautiful experience. I am a bit lost with informations about hikes in Chapada and your article really helps. I just hiked for five weeks in Patagonia and am now heading for Chapada ;). I try to find any English details for the Route of Cachoeirazi 21 and am failing. Do you have any details/GPS link for it? Aaaand… The “Grand Circuit” : what hike is this? Hi Rena, how are you? There is barely no information about the Cachoeira 21 trek online. I did it with a local guide a few years ago. Ask for Marcelo in Lençois, he knows the way. 🙂 Good luck!